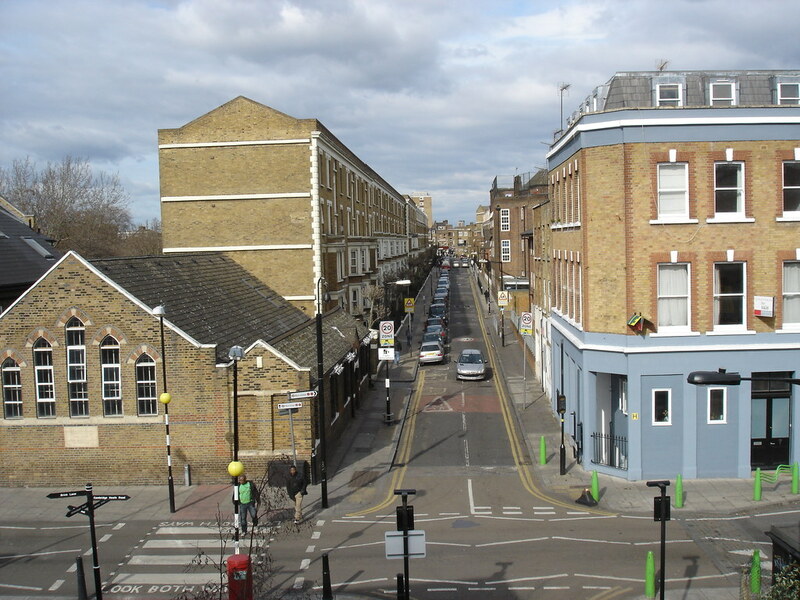 The Waterlow Estate is the collective name for the Victorian blocks of flats lining Wilmot, Ainsley and Corfield Streets in Bethnal Green, London. 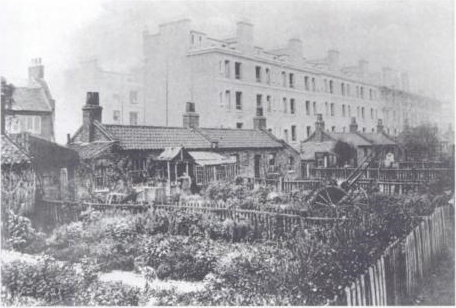 It was constructed from 1869 to 1890 by Sir Sydney Waterlow’s Improved Industrial Dwellings Company. 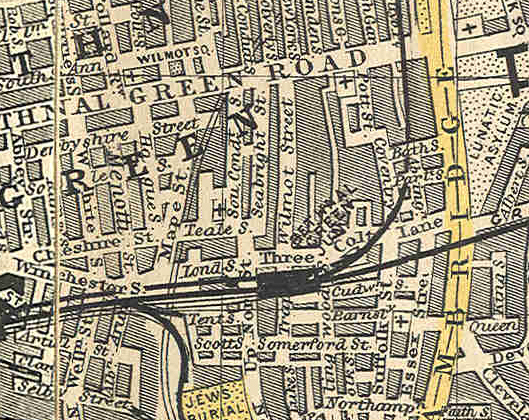 The two blocks nearest Bethnal Green Rd were built first, they would have been surrounded by the old weavers cottages which were eventually cleared as the road layout was progressively altered. 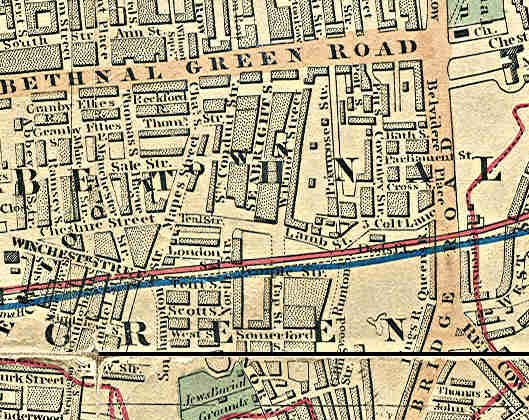 The photograph below is taken from what is now Finnis street (then Pettits Walk) looking northwest towards Bethnal Green Rd. Looking at the scaffolding I’m assuming it was taken during the construction of the first two blocks. It’s interesting to see that the blocks weren’t quite the shape they are now, with the top floor being set back a little. I visited the Metropolitan Archive recently and found a number of original IIDC documents. 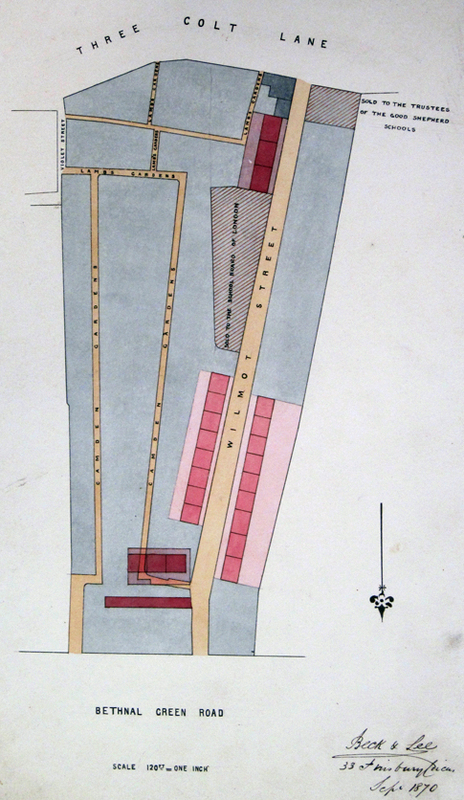 I’ll post a few more of them in the future but this plan shows the layout of the estate on the completion of the first blocks. Thank you so much to whoever posted this info. it’s absolutely brilliant!!! My great grandparents, Richard and Lilian Tearle lived in the Waterlow Buildings and my grandmother and her family were born there. It has really brought them to life for me and it’s great to see the plans of what their apartments looked like. Because I knew that they were living in Bethnal Green, I had assumed that they were living in a run down apartment block – how wrong was I?!!! Richard Tearle was in the Metropolitan Police. Unfortunately he had some kind of accident and had to be pensioned out (I have yet to look at his records at Kew). Lilian, his wife, died in 1914, which left my grandmother, Winifred, in charge of the family at the age of 14!!! She moved them back to Eaton Bray, Beds. where Richard originally came from. Once again thanks for this fantastic insight into life in Bethnal Green. Thats a great story, Nicky. Thank you Nicky for your comment and memories of your Great Grandparents. I can remember being fascinated by Waterlow Buildings during the 1960’s when I passed the building in the train on the way to work. I have memories of a tenement, which stated ‘Homes for 1073? families’ on the front. does this ring any bells? Hi thankyou for this facinating and informative website. I have worked at Hague School on Wilmot Street for many years and would love to hear people’s memories related to the history of the school and locality. We know it was Wilmot Street Board School 1873 before it became Hague Primary in 1965. We know it evolved as the school community needs changed and had close links with Stewart Headlam Sch formerly Somerford Street Sch. 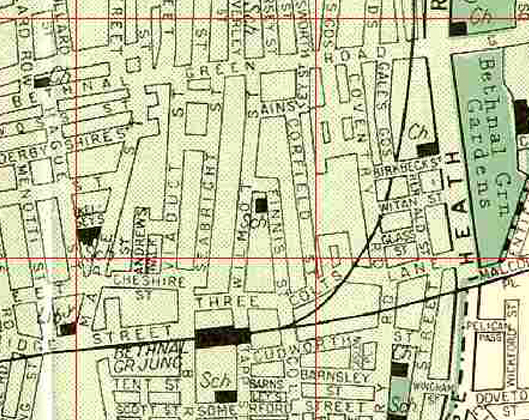 Some of our families still live in Corfield St and round about so we are really keen to find out more as part of our local history studies from pictures, personal or family memories you are willing to share either in this site or by contacting Hague School direct.